Ever since George Reeves donned the cape on TV, I’ve been a fan of Superman. In 2013, we’ll see Man of Steel, a reboot that promises to bring a darker edge to the character than previous movies. Zack Synder will direct Man of Steel. The story is by David S. Goyer and Christopher Nolan — who collaborated on the stories for the Dark Knight films. It’s Nolan’s influence (he’s also producing) that many think lend the film the same realism felt in the Dark Knight trilogy. Having said that, I’m looking forward to Zack Snyder’s rendering of the story. Snyder is probably best known for Watchmen and 300. To date, there have been five Superman movies made so far. Three of them were sequels to the iconic 1978 film Superman The Movie, directed by Richard Donner with Christopher Reeve as Superman. I remember being enticed by the tagline, “You will believe a man can fly.” Then being amazed when the film lived up to the promise. In 2006, Bryan Singer directed Superman Returns. I thought it was great! Brandon Routh did a great job. It would have been a challenge to live up to the role that had been owned by Christopher Reeve. A challenge which, in my opinion, he pulled off. Fast forward to 2013, British actor Henry Cavill plays Clark Kent / Superman and Amy Adams plays Lois Lane. The impressive cast also includes Michael Shannon as the villainous General Zod, Laurence Fishburne as the Editor of The Daily Planet, and Russell Crowe as Jor-El, Superman’s biological father. Kevin Costner and Diane Lane will play his adoptive parents, Jonathan and Martha Kent. 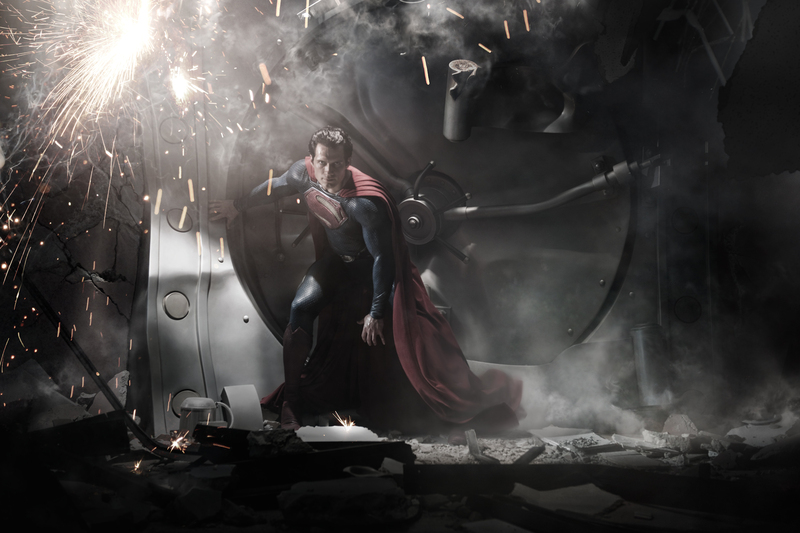 Man of Steel is scheduled for release on June 14, 2013 and you can watch the trailer below. The credentials of the production team should make this take on the Superman story is the best so far. If the latest Batman series is anything to go by, the writers, director and producers are more than capable and the technology certainly is up to it. A well written and Interesting blog! 🙂 I’m looking forward to seeing the ‘darker’ and grittier version of Superman, one of the first super hero series I ever saw on TV!